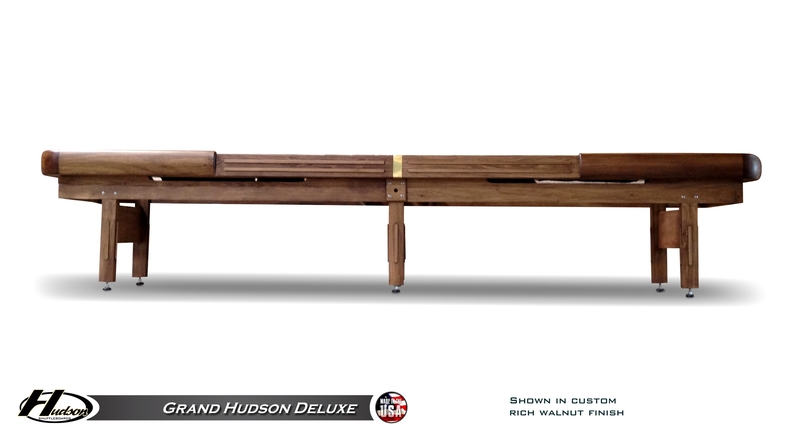 The 9' Grand Hudson Deluxe brings together quality and vintage American styling. 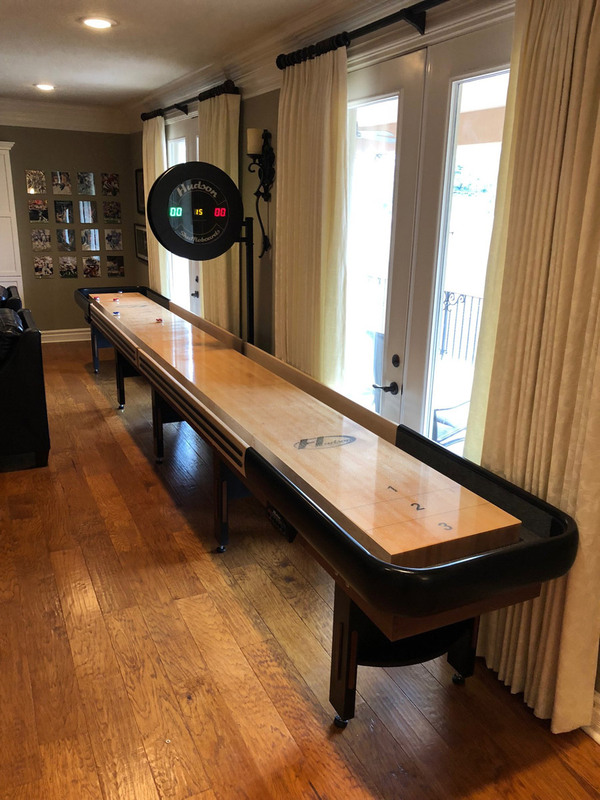 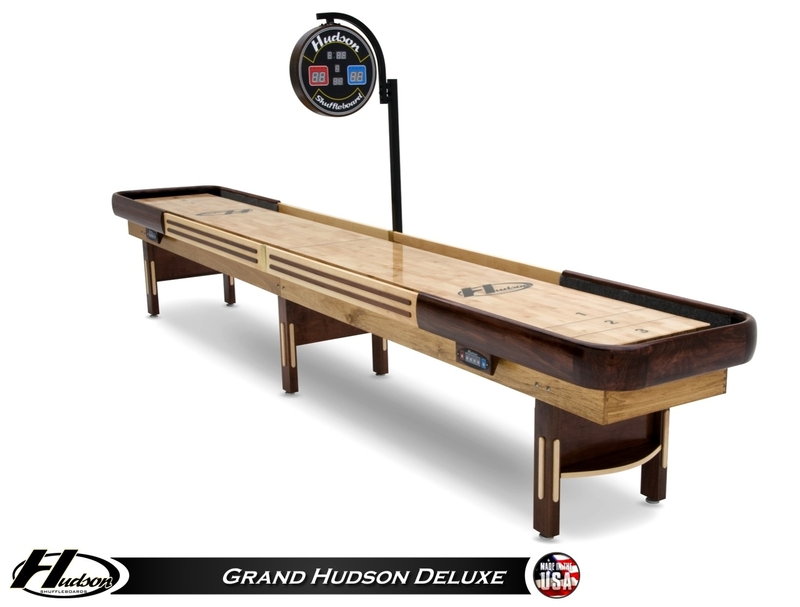 This US-made shuffleboard table features a durable and beautiful cradle constructed of Solid Poplar and Hard-Rock Maple Hardwoods. 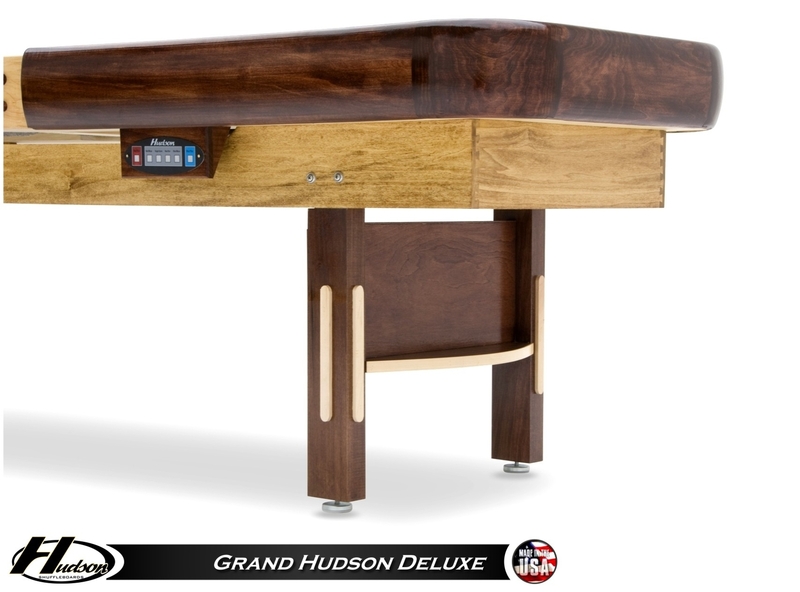 The gorgeous coloring is accomplished with Rich Mahogany, Golden Oak, and Natural stains. 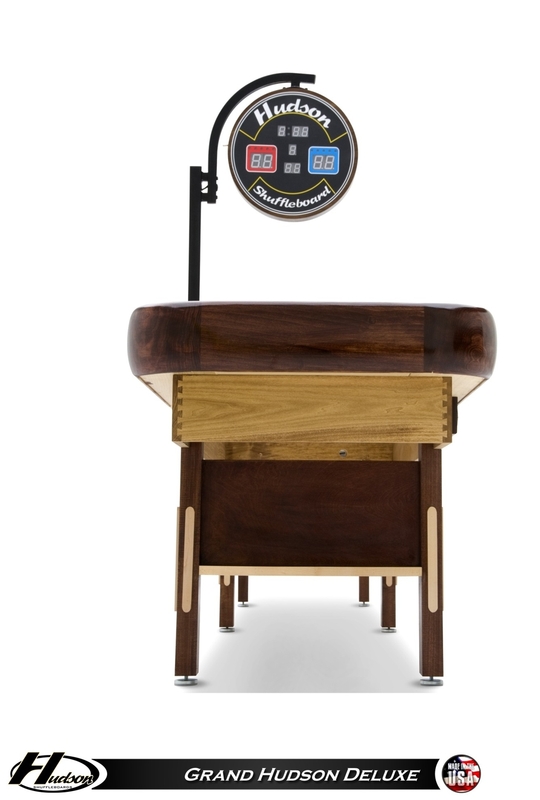 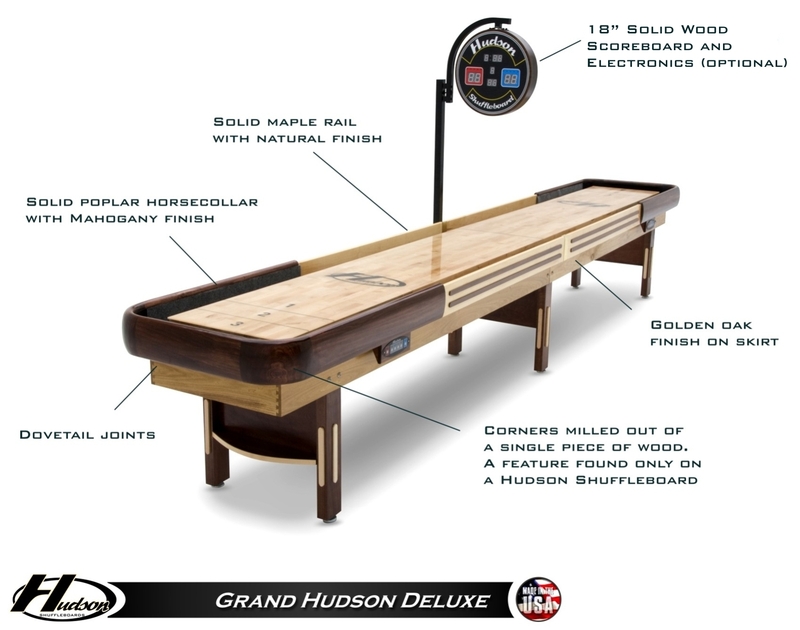 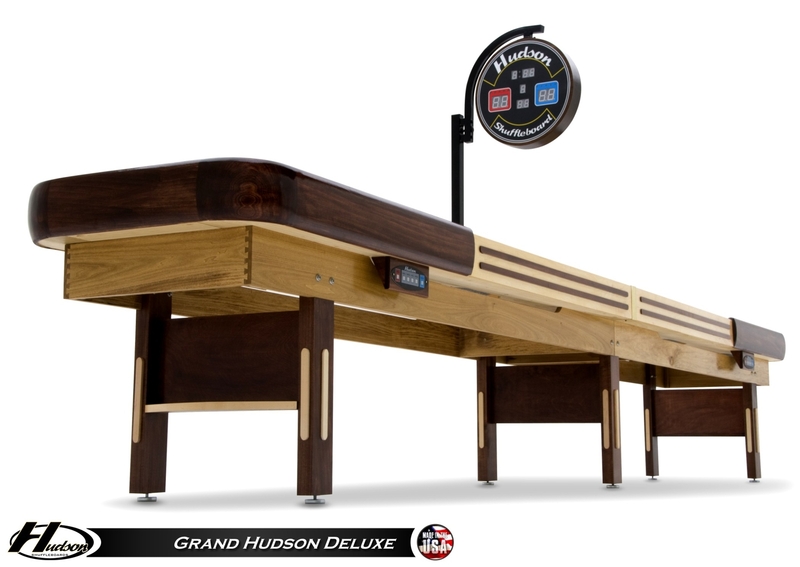 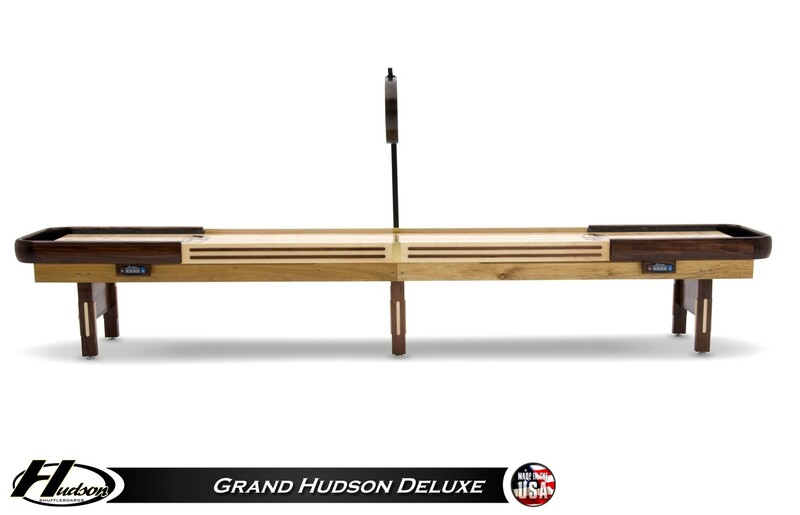 The Grand Hudson Deluxe sets itself even further apart from other shuffleboard tables through its unique corners on the horsecollar. 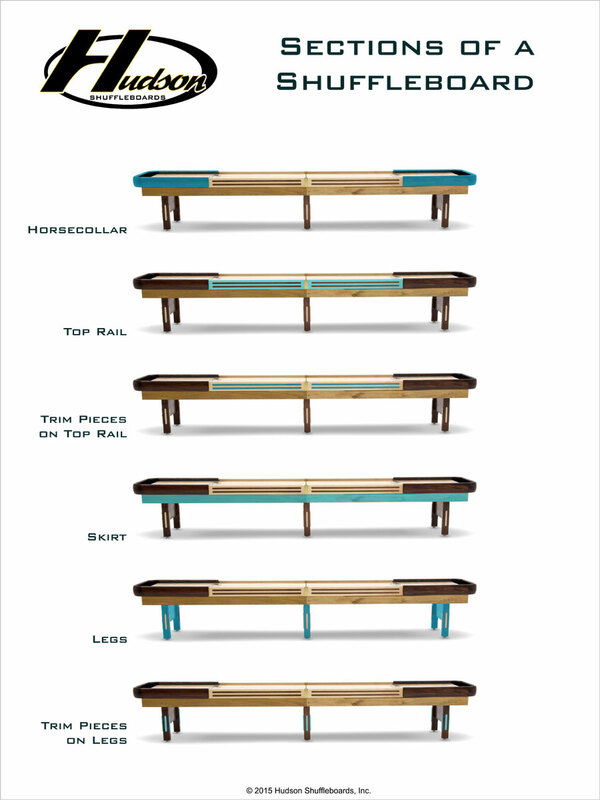 These corners are milled out of a single piece of solid wood, unlike any other shuffleboard on the market.